Full of the same dextrous genre-mashing and boundless energy that was exhibited in Snowpiercer, director Bong Joon-ho continues to prove with his latest film that he is one of the best film-makers working today. Moving from sweet-natured fable to multi-layered corporate satire, Okja is a prime example that cinema can be both thought-provoking and hugely entertaining. Beginning in 2007, we are introduced to Lucy Mirando (Tilda Swinton), who has just inherited the position of CEO of the Mirando Corporation, a family business that has been around for decades. Founded by her father, Lucy has finally usurped her stronger twin sister Nancy (also Swinton), and wants to be more successful than her predecessors at any cost. Hosting a press conference at her father’s old slaughterhouse factory in New York City, Lucy promises a better future, particularly after the discovery of a unique super-pig in Chile, a creature which emits less methane gases while providing top-of-the line dinner table product. Brought to the U.S., the company has managed to get the animal to sire twenty-six off-spring, which have then been distributed to twenty-six farmers around the world, where they will be raised under different conditions. After ten years, the healthiest and biggest super-pig will be chosen to front their line of grade-A meat, at a gala presentation back in New York City. Cut to 2017, where the beautiful countryside mountains of South Korea hides one such super-pig. Named Okja, she enjoys an idyllic life with her human companions, elderly Hee-bong (Byun Hee-bong) and his teenage granddaughter Mija (Ahn Seo-hyun), whose parents died when she was very young. Mija and Okja share a special bond, offering each other respect, trust, and friendship that is seemingly symbolised by the surrounding environment around them being in perfect harmony. The pair are inseparable, and it’s obvious that the roles of master and pet have been long forgotten. When Okja wins the contest, she is taken from her peaceful home by TV reality host and advertising brand name ‘Doctor’ Johnny Wilcox (Jake Gyllenhaal), and local company employee Park Mun-do (Yun Je-mun). While being transported to Mirando’s Seoul headquarters for tests, they are intercepted by a determined group of animal protesters headed by the dedicated Jay (Paul Dano), who follows the non-violent decree laid down by A.L.F. to rescue, protect, and set free all animal life. The gang is made up of K (Steven Yeun), Blond (Daniel Henshall), Silver (Devon Bostick), and Red (Lily Collins). In the middle of this chaos is Mija, who just wants to take her best friend Okja back home, but is starting to realise that the real world is a fractured, highly untrustworthy place where corporate brainwashing and excess consumerism is the norm. Okja is simply brimming with confidence and style, magnificently demonstrating how successful a film can be when the people behind it totally believe in the material, aware that it is vital to bring its story, themes, and characters to vivid and engaging life. Bong’s story and screenplay (with a helping hand from author Jon Ronson, who penned the book The Men Who Stare at Goats) covers a lot of topics and ideas, with a myriad of characters who personify various aspects of modern society, and how it all affects personal choice and moral responsibility. Bong the director then takes his carefully woven script and fuses these changes in tone and genre with exceptional skill, moving from childlike fable, corporate satire, and holocaust-type horror with consummate ease. If Bong had doubted the material in the slightest, the whole endeavour would have collapsed almost immediately, so the feat accomplished here should not be under-estimated. The same risk faced the film-maker with Snowpiercer, where Bong also walked that fine line in knockout fashion. Bong also deliberately evokes previous tales (notably My Neighbour Totoro and King Kong), so he can then subvert what we feel as the story unfolds. There are even nods to Bong’s 2006 smash hit The Host. Again assembling a first-rate cast, Bong elicits some intriguing, florid, and memorable performances. Swinton, who stole the film with her flamboyant turn in Snowpiercer, has a whale of a time inhabiting the roles of both Lucy and Nancy. Moulded products themselves, Swinton gives both siblings the right mix of artifice, insecurity, and ruthlessness. Ahn (Monster, Dream High TV series) perfectly embodies that innocent spirit who is uninterested in profits, brand names or fame, but instead just wants to enjoy the simple companionship of a close friend, free of corporate manipulation and modification. Gyllenhaal (Donnie Darko, Nocturnal Animals) is a real surprise here, delivering an off-kilter, uninhibited turn that is atypical of what we normally see from him, but he astutely captures a person who believes that media image is everything. Dano (There Will Be Blood, 12 Years a Slave) is terrific as Jay, who becomes that guardian angel that Mija needs as her journey follows a growingly dark path. A strong supporting cast includes Byun (The Host, Memories of Murder), Yeun (The Walking Dead TV series, Mayhem), Yun (The Last Princess, Mother), Giancarlo Esposito (Do the Right Thing, Bob Roberts, Breaking Bad TV series), and Choi Woo-sik (Train to Busan, Set Me Free). Technically the film is flawless, blending the real and the computer generated with great care and attention. 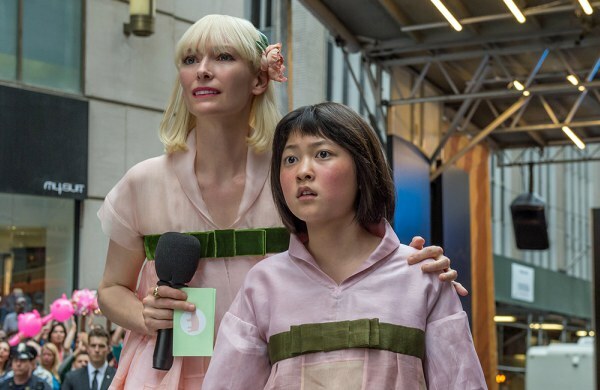 The visual effects team ensure that Okja appears to be a living, breathing creature, one that can elicit real sympathy from the audience, who want both her and Mija’s story to end on a happy note. 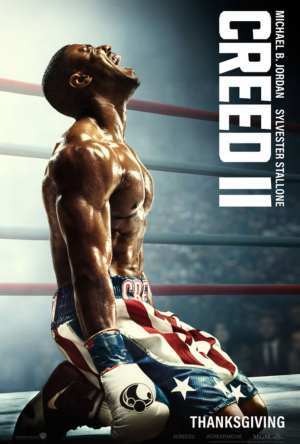 The film is also arrestingly crafted, and praise must go to cinematographer Darius Khondji (Seven, The Lost City of Z, Delicatessen), editors Yang Yin-mo (Train to Busan, The Beauty Inside) and Han Mee-yeon, production designers Lee Ha-jun (The Thieves, The Face Reader, Haemoo) and Kevin Thompson (The Adjustment Bureau, Birdman), and art directors Bae Jung-yoon (The Housemaid), Deborah Jensen (Inside Llewyn Davis) and Gwendolyn Margetson (Power Rangers). Okja brings up a number of emotions as it deftly changes from drama, fantasy, comedy, horror, and satire (also make sure you stay to the very end), guided by a true artist who continues to hit a cinematic bullseye. Even though the film has been produced by Netflix, its true home should really be on the big screen, where Bong’s dazzling creation can be properly appreciated (its streaming origins caused controversy at Cannes). If you are unaware of Bong Joon-ho’s body of work, then please track down and watch Barking Dogs Never Bite (2000), Memories of Murder (2003), The Host (2006), Tokyo! (2008) (‘Shaking Tokyo’ segment), Mother (2009), and Snowpiercer (2013) as soon as it is humanly possible.